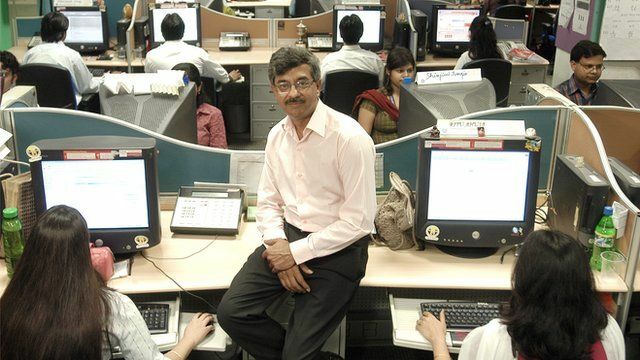 'I opened India's first call centre' Jump to media player In 1998, Pramod Bhasin founded India's first ever call centre, spawning a major industry and a revolution in customer relations. 'I was India's screen goddess' Jump to media player Ramayan was watched by millions of people in India. Witness spoke to one of its stars. Goa's fight for independence Jump to media player On 19 December 1961, Goa became independent from Portugal. Witness spoke to Libia Lobo Sardesai, a radio broadcaster in Goa at the time. In the late 1990s Indian entrepreneur Pramod Bhasin had an idea: why couldn't English speaking Indians answer the customer calls coming into US businesses on the other side of the world and charge a fraction of the price of home grown services. Mr Bhasin set up India's first call centre in 1998 with just 18 employees taking calls in an office where the booths were divided by saris hanging from the ceiling.